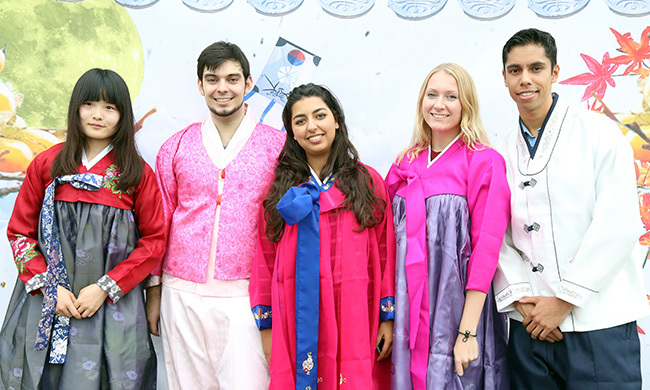 Experience of Wearing Hanbok (Korean traditional clothes). Playing Tuho, a traditional game in which players attempt to throw arrows into the top of a narrow-necked wooden jar. Tasting Korean traditional food such as Pajeon, Kimchijeon and Makgeolli. Having a memorial ceremony for ancestors. Tasting Songpyeon, a traditional Korean food made of glutinous rice.